Pipe Lining uses trenchless technology and requires little or no earthworks to deliver a fast and permanent solution for repairing blocked and damaged pipes. Traditionally pipes have been dug up and replaced; now Pipe Hunter offers a cleaner, cost effective alternative without the disruption of excavation. 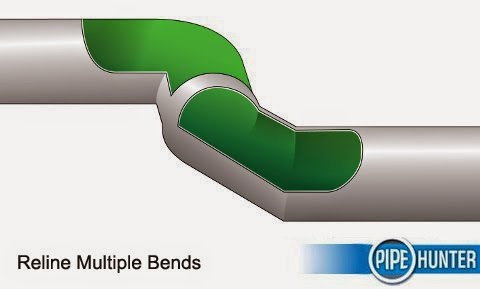 Our pipe lining technology is so flexible that it can be used to reline continuous lengths of pipe or provide short patches, reline multiple bends, boundary traps or create one-piece junction repairs. Suitable for storm water or sewerage pipes, Pipe Hunter’s system can be applied to pipe diameters ranging from 40mm up to 300mm. 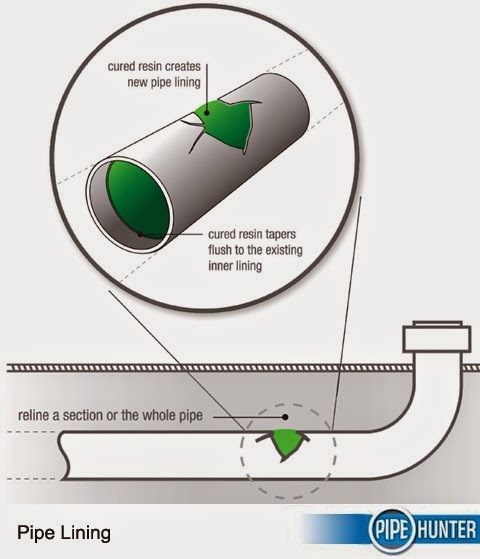 The epoxy resin used in Pipe Hunter’s system is chemically engineered specifically for pipe lining. It has the structural properties of a PVC pipe, offering the same hardness and flexibility as PVC. The use of trenchless technology means little or no excavation work is required. This results in minimal disruption to the surrounding area and faster job completion. Pipe Hunter uses superior quality resins, engineered, manufactured and tested in Germany to ensure fast curing times and pipes that are ready for immediate use. Our pipe lining materials are structurally sound so they can span a range of pipe diameters, seamlessly line multiple bends and patch missing sections of pipe, all with the structural integrity of a permanent new pipe. By eliminating the need for destructive excavation, we are also eliminating the serious OH&S risks involved with operating heavy machinery and the risk of injury or death associated with deep excavation. *Workmanship guarantee is provided by the Plumbing Industry Commission on jobs exceeding $750 in value. Excavating the area and replacing pipes is time consuming and expensive; using trenchless technology removes the need to dig and lowers labour costs. 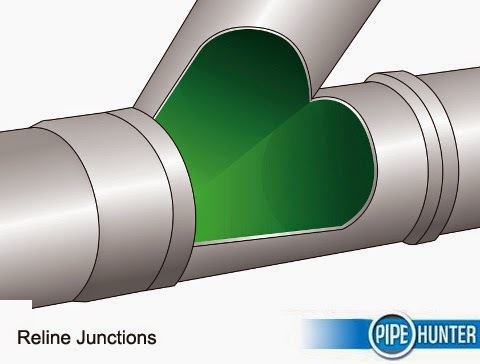 Pipe Hunter’s system means the job is completed quickly, cleanly and cost effectively. The combination of trenchless technology, years of experience and superior quality materials allow Pipe Hunter to provide long-term pipe lining solutions with minimal disruption to landscaping and paved areas. Our high performance materials create a perfectly stable laminate layer within damaged pipes. This layer has the structural integrity of a new pipe; it can stand alone, even spanning voids in damaged pipes to create a new pipe within the old one. The result is a permanent repair to the damaged pipe, completed without excavating the surrounding area.